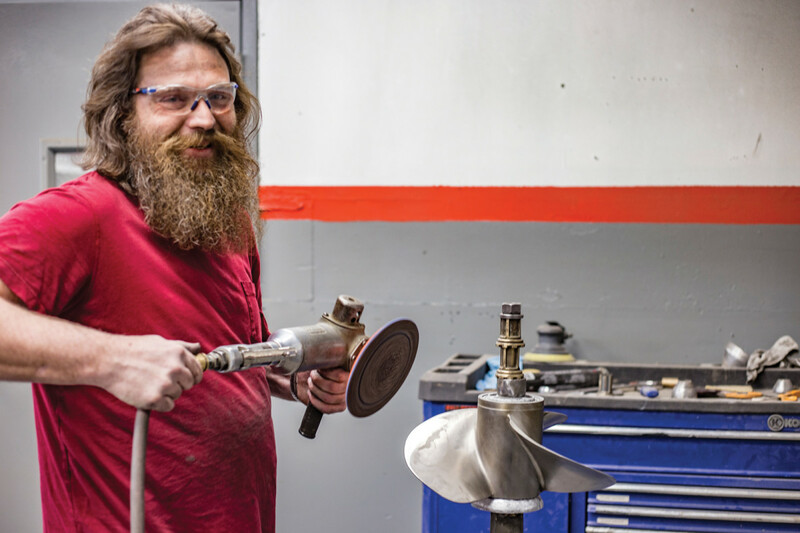 Computers are great, but some propellers still demand a craftsman. Computers are great, but some things demand a craftsman with a hammer. Newton published his work in his Mathematical Principles of Natural Philosophy (1687), “one of the most important single works in the history of modern science,” according to the Encyclopedia Britannica. Pretty impressive, and that’s only the start of Newton’s accomplishments. What does this have to do with propellers? Newton’s third law, the law of action and reaction, describes the phenomenon that makes your propeller work. It states: “When two bodies interact, they apply forces to one another that are equal in magnitude and opposite in direction.” A vessel’s propeller (and a waterjet, which is essentially a propeller in a tube) accelerates water aft, resulting in an opposite force that thrusts the prop, and the boat, forward. 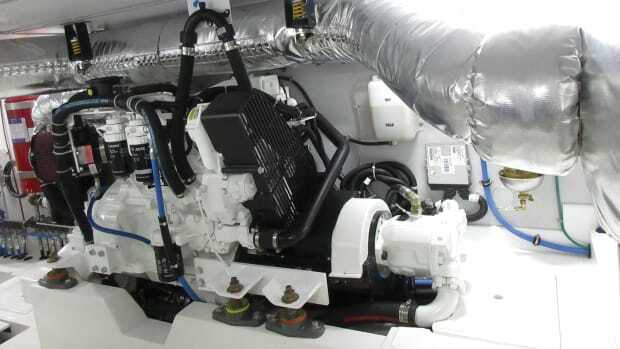 A prop that’s precisely matched to the boat and motor, and is up-to-spec in more ways than just pitch and diameter, will be more efficient at developing thrust, burn less fuel, spin quieter and allow your engine to rev to its maximum rated horsepower. The trick is getting the prop just right. 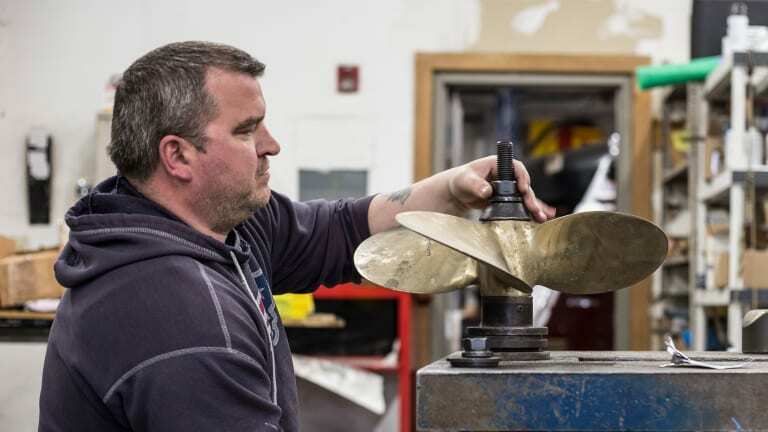 Propeller design is about as complex as anything in marine engineering—it’s a career in itself. 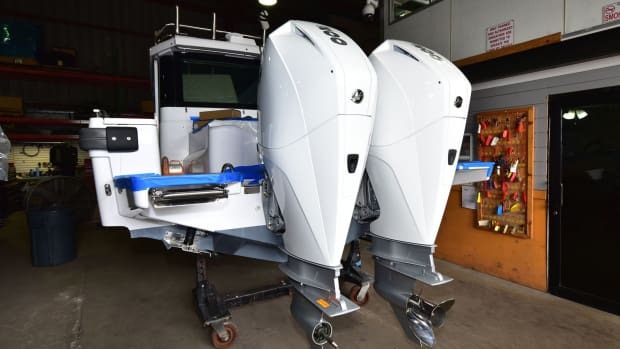 Boatbuilders don’t always choose the correct props on the first try when building a new boat, and after a couple seasons of piling gear aboard, many boats gain enough weight to change their propeller requirements. In the past, finding the correct prop often took expensive, and time-consuming, trial and error. Today, like almost everything, it can be done with a computer—or, at least, it’s begun with a computer, and chances are that the computer runs software written by the late Randal Hale Jr. Prop analysis at Hale MRI mimics MRI technology in the medical field. Fine-tuning propellers used to be a black art, one practiced in boatyards by Yoda-like characters working with pitch blocks, hammers and rules of thumb. (“An inch of diameter equals two inches of pitch” is one I remember. Or was it the other way around?) More often than not, these Merlins of the machine shop got it wrong the first time. 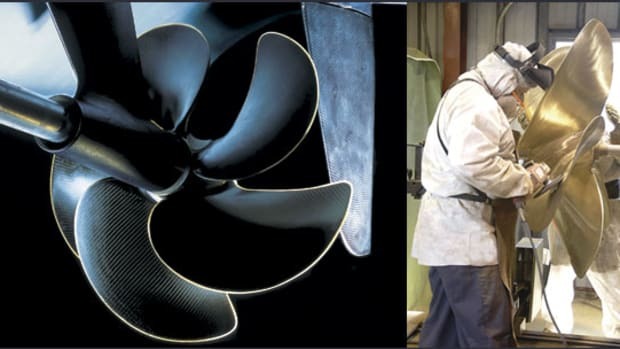 In the mid-1990s, Randal Hale Jr., a Johns Hopkins-degreed radiologist technician and boat nut from Essex, Connecticut, saw a damaged propeller and, rather than simply pounding it back into shape with a hammer, created a method of precisely analyzing the prop and thereby determining exactly how to repair it, using software he wrote to run on a Windows personal computer. Hale wasn’t a newcomer to high-tech: A lifelong boffin and ham-radio enthusiast, he was a member of the team that developed magnetic resonance imaging (MRI), worked on perfecting the mammography X-ray machine and became an expert in digital imaging. Hale’s software, when connected to a surface probe which was in turn plugged into a PC, could measure the geometric features of a propeller—diameter, pitch, rake, camber, cup and so forth—then crunch the data and display a detailed analysis on the computer screen. He named it Hale MRI software—he felt his software did for propellers what MRI does for the human body. Along with its associated hardware, Hale MRI applies science to the black art of propellers. With just a few hours of instruction, a technician can use the technology to determine the characteristics of the prop. Comparing the prop as-is to how it oughta be, the tech can then determine how to restore it to good-as-new condition, or how to fine-tune it to make it a better match for the boat that’s spinning it. For boats that need new props, the software can show “what-if” results, which is an easy way to “test” different ones. 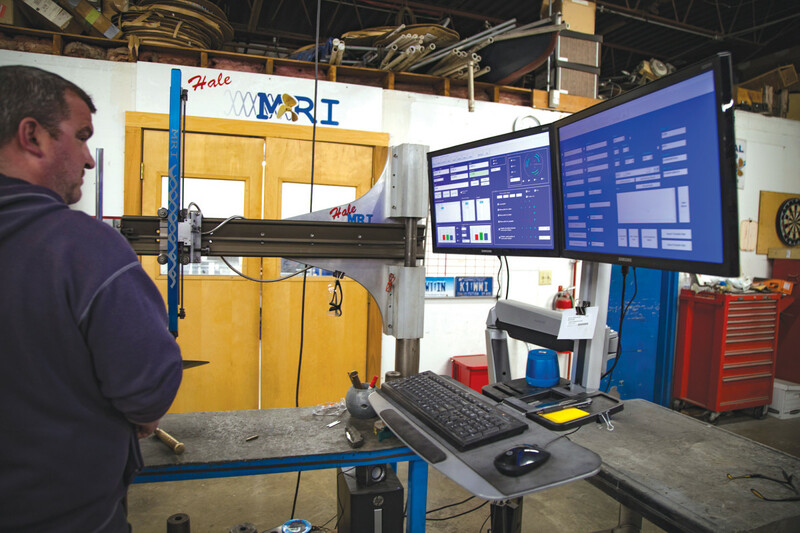 In 1995 Hale and his son, Randy Hale III, opened Hale Propeller in Old Saybrook, Connecticut; today it’s the industry leader in propeller analysis and repair, with more than 200 Hale MRI systems in use worldwide. (A similar system, Prop Scan, was developed in Australia by Terry Ryan, pre-dating Hale MRI by about 15 years. 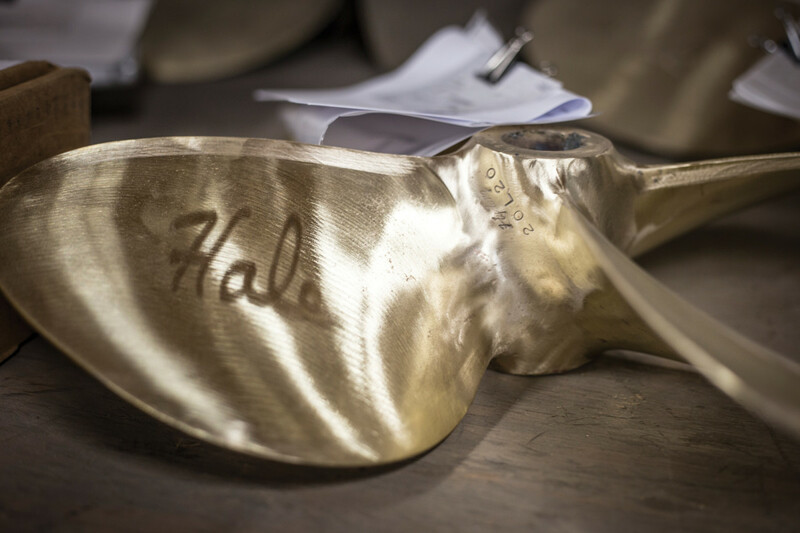 The first Prop Scan shop opened in the U.S. in 1995, when Hale Propellers was just getting started. Today, Hale MRI has many times more users than Prop Scan, even Down Under.) Randal Hale Jr., passed away in July, 2016, so the family business is now in the hands of his son. Since its inception, Hale MRI has become a global prop operation. The coolest prop I saw was a 48 x 61 inch, five-blade Rolla awaiting a tune-up. Its blades had twist and skew and rake and, Hale pointed out, sinuous curves in their cross-section, more complex than a typical prop. Hale MRI can analyze even a complex-geometry prop like this one, but I had trouble picking out the shapes visually—blade twist camouflaged the nuances. When I ran my fingers over the surface, I could feel the undulations. The Rolla is a masterpiece of the propeller builder’s art, and priced accordingly: Hale said a replacement for the one on the bench would run over $20,000. 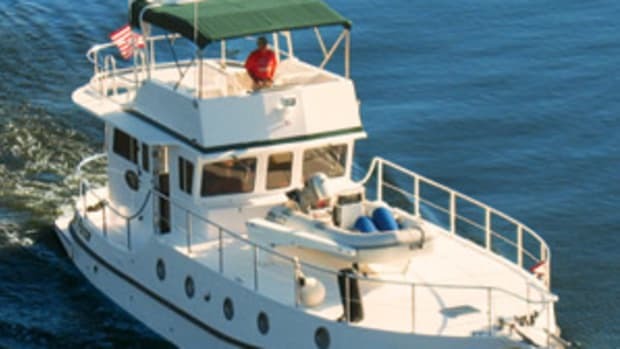 But tuning-up this one would cost only around $2,000—and even someone flush enough to own a yacht that needs props like this one (it came off a big Hatteras) will appreciate the 90 percent savings of reconditioning vs. replacement. Once a prop is analyzed and its needs identified, old-school techniques take over. If blades need re-pitching, the mechanic uses a pitch block and a hammer. Generally, he can also change the pitch two inches either way, which requires very little change in the actual blade angle. An eighth-inch total adjustment to the blade—a sixteenth one way on the leading edge, a sixteenth the other way on the trailing—changes the pitch one inch. Cup is added or removed the same way. When the guy with the hammer is finished, the prop is re-analyzed to check his work. Props showing erosion from cavitation or corrosion, or with tips damaged from the time you nailed that oyster bed, can be repaired by a skilled hand with a torch and brazing rod to replace the missing metal. The blade is then ground back into shape and finished until the repair is invisible. Hale pointed out that he uses only MilSpec rod, and carefully matches it to a prop’s alloy. Otherwise, he said, dissimilar metals can cause galvanic corrosion. He showed me a prop repaired in the past with the wrong brazing rod; I could see a definite seam where the newer metal interacted with the old. That one would have to be fixed properly before leaving the shop. 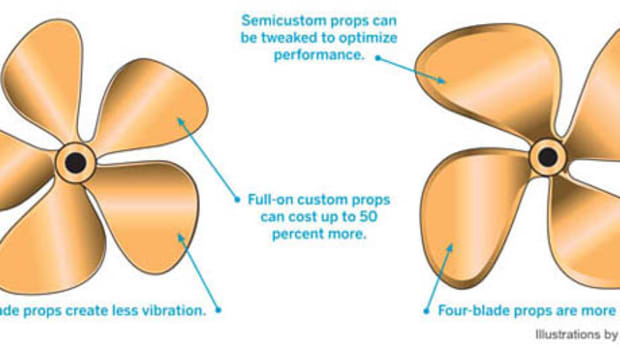 Balancing a prop often involves removing extra metal with a grinder. Hale dynamic-balances every prop after repair; he says that static balancing works most of the time, but dynamic works all the time. The balancing machine looks sort of like a lathe, but there’s a honkin’ big prop spinning on it; the overhead shop lights make the blades flash as they rotate. Sensors detect any imbalance in the blades and then send the data to a computer, which determines where, and how much, metal has to be removed to balance the prop. 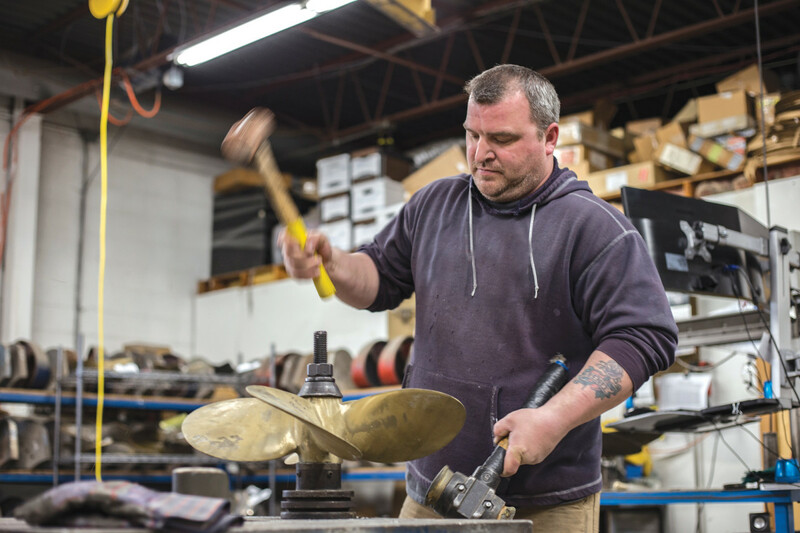 It’s removed with a grinder, and here’s another instance where art trumps science: After 25 years in the shop, Hale knows just how much grinding it’ll take to bring things back into harmony. Not something a computer could do. How do you know when it’s time to check your prop? Even if you haven’t hit anything and your engine is turning its full RPM, Hale suggests doing so every couple of years. If your revs are down, first make sure it’s not an engine issue; have a mechanic check things out. 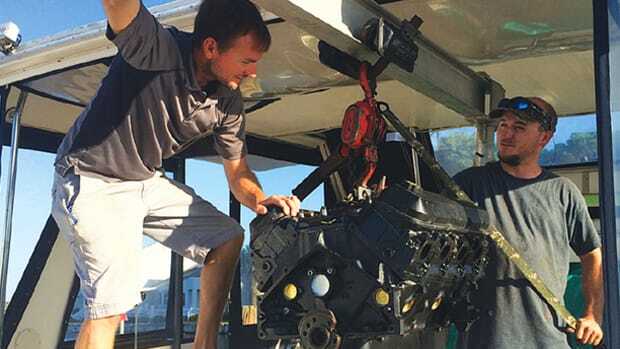 If all’s copacetic under the hood, it could be time to look at the prop. 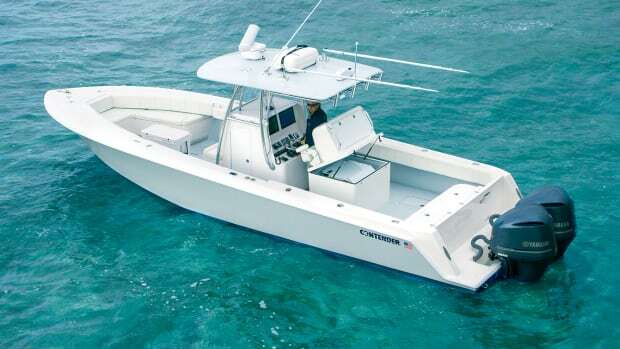 But before pulling the boat, make a number of trial runs, noting speed, revs, fuel burn, temperature—anything you can measure. Get as accurate a weight estimate as you can, including typical fuel and freshwater levels. While Isaac Newton is justifiably celebrated, his “natural philosophy” is just that: natural. Gravity would be with us whether Newton wrote about it or not. But Randal Hale Jr. invented something— something that makes every boater’s life better. At least every boater with a propeller. I think that deserves a shiny red apple. The World’s Greatest Prop Designer? Isaac Newton may have been a brilliant scientist, but when it comes to designing a propeller, he couldn’t hold a candle to Elaine Scholley Kaplan, one of the greatest propmeisters of all time. In 1950, Kaplan worked at Gibbs & Cox, a naval architecture and marine engineering firm located in New York City. A propulsion engineer, Kaplan was one of only two women on the company’s 50-person design team, a team that was working on what would be the most outstanding passenger liner ever to be launched: the S.S. United States. Gibbs & Cox President William Francis Gibbs assigned Kaplan the job of designing the propulsion system for the new ship. And that meant designing the propellers. The United States would have four propellers sharing the 242,000-hp produced by her steam turbines. 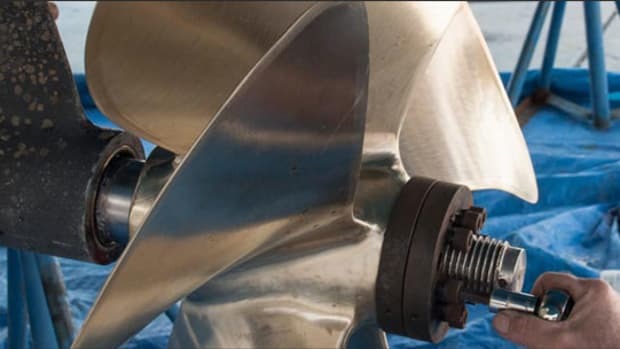 The main concern was cavitation on the heavily loaded blades; cavitation would not only wear away the blades, but create excessive vibration, unacceptable in a luxury liner. (Cavitation is an obsession today with nuclear submarines; it creates noise that makes the subs easy to track by the bad guys. The props used on subs are closely guarded military secrets.) Kaplan designed four 18-foot-diameter, four-bladed props, and tank-tested them at the shipyard in Newport News, Virginia, where the ship was under construction. The tests showed the props would cavitate. Kaplan tried different diameters and pitches, but still no luck: There was still too much cavitation. Then Kaplan started thinking out of the box. Rather than use four similar props, she designed five-bladed props for the inboard shafts, leaving the four-bladers outboard. Her theory was, the five-bladed props, with more blade area, would be less likely to cavitate (cavitation is a function of blade loading, which is a function of horsepower vs. blade area), and would interact more efficiently with the water flow coming from the outboard props, which were farther forward. And she was right: Tank tests of the new propeller arrangement predicted not only dramatically less cavitation, but also a top speed for the ship of 37 knots. Kaplan’s propeller design was kept top-secret by Gibbs & Cox. During her maiden voyage in 1952, the United States averaged 35.6 knots on the eastbound transatlantic crossing, setting a new speed record and winning the Hales Trophy and the Blue Riband for the fastest crossing. And that was with just two-thirds power—and Elaine Scholley Kaplan’s propellers. This article originally appeared in the July 2018 issue of Power & Motoryacht magazine.